The scorching desert sun adds some danger to Nevada's barren trails. Nevada, located in the western U.S., is known for its mountainous landscape — more than 30 of Nevada's peaks rise above 11,000 feet, and its highest point, Boundary Peak, reaches 13,140 feet. The Great Basin dominates most of the state, while the Mojave Desert stretches into southern Nevada from California. Here, bright copper-colored mountains dot the landscape. The editors at Backpacker have created an extensive collection of popular trails and trips for hiking and backpacking Nevada. 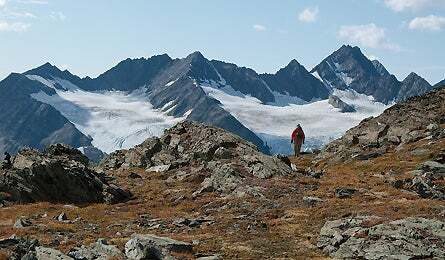 These 9 difficult hikes will challenge even the toughest backpackers. Lake Tahoe is 122,200 acres of cobalt blue water, and reflections of the Sierra. The best way to get to know it: The Tahoe Rim Trail. Get ready to hike with our guide to preparing, buying gear, and travelling the 165-mile loop. If you’re operating on a three-season schedule, you’re missing out. Here are a dozen reasons to keep your boots at the ready. Escape the heat in this desert oasis, named for the cooler air trapped within the box canyon’s high walls. Follow in the footsteps of presidents, pioneers and prospectors on these hikes. Just don’t get snowed in and eat your friends.